The Belters took on Central City Roller Girls Slay Belles in a nail biter of a game that saw a few lead changes, and one jam called dead! The Belters took the win in the end 118-102. 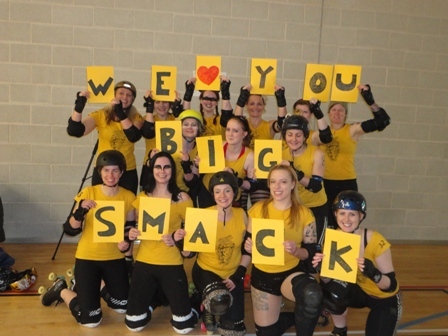 The win was dedicated to injured Belter Big Smack and Fries. We love you!